My interest in maritime documents and the history of America’s shipping industry led me to compile a bibliography on the subject. It’s mostly focused on the northeastern US but also includes international resources. I included both print sources and online databases. Family Search has a limited, but interesting collection of maritime documents digitized (see page 4). *This link has moved, see Publications. As a preliminary announcement, I am giving a webinar on records of the custom house and other maritime documents through the Massachusetts Society of Genealogists’ webinar series in 2016 (Date TBD). 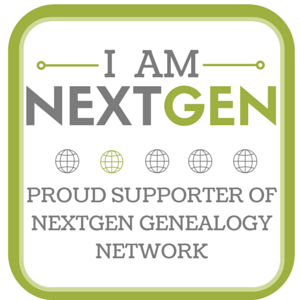 I look forward to my first year in genealogy education and becoming more involved in local societies. From the Boston Traveler under items 50 Years Ago Today, December 15, 1889. “The first snow brings out a great throng. Fishing schooner, Marsala, runs on reef of Norman’s Woe in a blinding snowstorm and is a total loss. She was a new vessel owned by John Pew and Son. She was commanded by Captain Angus McKay. *** Angus then caught pneumonia trying to get the boat off the reef and died. My mother (Eleanor Davis’ mother) was 14 and the oldest of seven children. I have soooo many relatives from Gloucester, MA and Nova Scotia who died on the seas. At last count over 20. So many waiting for those who never returned. I’ll be looking forward to hearing your presentation. In the 1700’s my husband’s 5th great grandfather, Dr. Nehemiah Ordway, was part owner of the Sara Salisbury. Would really like to find more information other than the name.